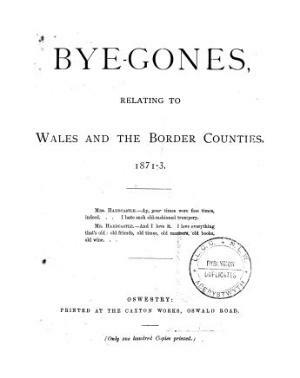 A quarterly antiquarian periodical that covered Wales and the border counties and published antiquarian articles that had originally appeared in the Oswestry Advertizer and Border Counties Herald. The periodical was edited by the antiquarian, author and journalist, John Askew Roberts (1826-1884), who had also served a the Advertizer's editor. Amongst the periodical's main contributors was the antiquarian William Wynne (1808-1880), Peniarth.